Borrowed money to pay a business tax debt? Is the interest deductible? Home office deductions: What substantiation will the ATO accept? 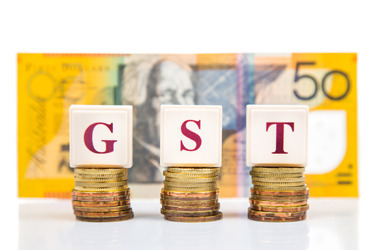 Two mid-tier partners have said that the changes to GST introduced to Parliament last week is a good first step in helping Australian SMEs compete with overseas entities. Changes to Goods and Services Tax (GST) collection online were introduced to the Parliament last week, which will see GST applied to low-value imported goods up to $1,000. “The government understands Australians are increasingly shopping online from overseas vendors who are able to offer items without tax,” Small Business Minister Michael McCormack said. The legislation will require overseas vendors, electronic distribution platforms and goods forwarders with an Australian turnover of $75,000 or more to register for, collect and remit GST for low-value goods supplied to consumers in Australia. The legislation will come into effect on 1 July 2017. Bentleys’ Perth taxation and small business director, Ross Prosper, told Accountants Daily that the changes are a “great start” in helping SMEs succeed. “Introducing the GST will mean those higher valued goods, $500 to $1,000, will look to the consumer to be more price-competitive now in Australia so ideally, they'll be spending more of their Australian dollars with Australian businesses,” Mr Prosper said. BDO tax partner Fady Abi Abdallah also said that the changes are positive, but has concerns over compliance. “These changes represent the latest measure in the government’s efforts to modernise the GST regime by ensuring that revenue collection remains in line with how the consumers of today buy goods, while at the same time attempt to address Australian business concerns dealing with offshore suppliers having a competitive advantage,” Mr Abdallah said.